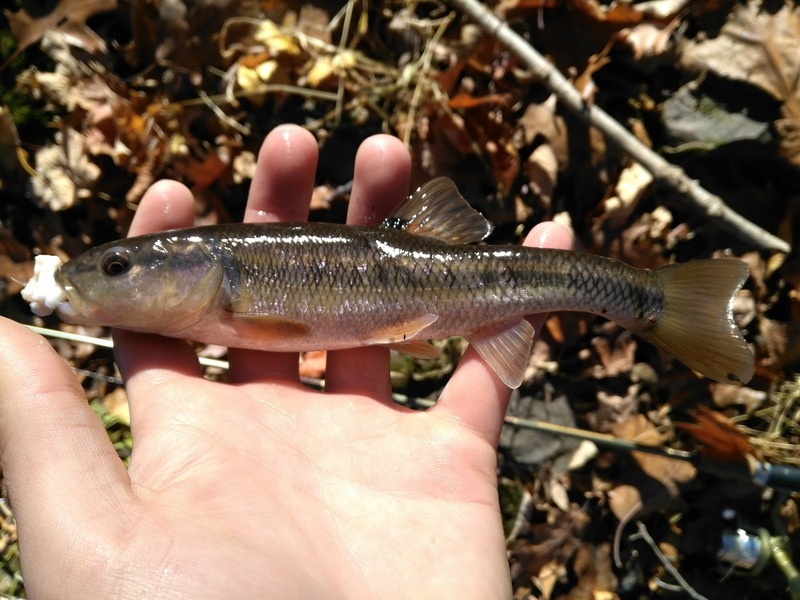 As junior year arrived, nothing particularly notable came around regarding my pursuit of fish. The school year was simply too busy. 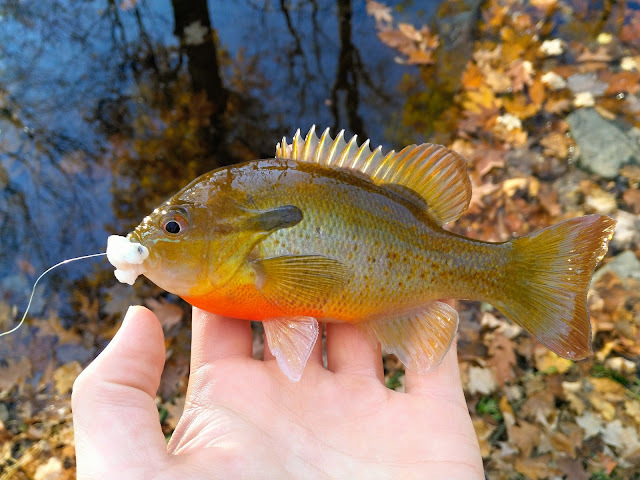 Here's a pretty redbreast sunfish and creek chub, though, from one brisk November afternoon.